Colors & Cocktails: The Mobile Art Party! 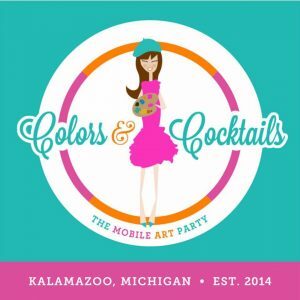 Colors & Cocktails is a mobile art party company serving the greater Kalamazoo area. We bring the party to you! We supply all of the materials you will need to host a canvas or glass painting party in the comfort of your home, location of your choice, one of our local affiliations, or our studio space at the Park Trades Center downtown Kalamazoo!